Talent management systems are a concept which refers to the process that develops and incorporates new members into the workforce while also retaining existing human resources. The main objective of the TMS is to easily manage high–potential professionals within the workplace; both in training and management developments.Today, it is increasingly more common for human resources departments to use talent management systems to provide professional development to their staff and employees. What is a talent management system? The talent management system is understood as a globally integrated platform that facilitates the development of a company’s workforce and aims to improve productivity as well as develop and retain talent, resulting in lower turnover rates. What are the advantages of using a talent management system? The talent management system model has numerous benefits and advantages as a tool to facilitate the daily work of any human resources staff member. Analyze the workforce and measure that employee development is aligned to the business objectives strategies from recruitment to sales to C-level executives, the TMS can manage everyone under one platform. Manage performance, in terms of planning and managing the objectives of the organization, acquisition and improvement of required competencies and recognition of a job well done. Manage the knowledge generated in the performance of work and training courses. Through the sharing of documents to and from students, the TMS also establishes a learning network for student collaboration. Develop leadership and guide students to professional developmental success, always in harmony with the strategic guidelines and culture of the company. Employees can get motivational awards based on the progress and engagement of training courses in which they are registered. Many find this reward system very motivational and often relate it to a competition they are trying to win with themselves, seeing who gets the most badges or awards for their learning environment. Allow users to see any and engage with your computer’s screen and allows for participation in any program you may have open to show students or fellow classmates. Upload SCORM / AICC courses, manage orders, pre-registration and automatic registration capabilities, assigning groups and courses, and establish different roles according to their needs such as managers, tutors, supervisors, and students. You can also automate notifications for completion of certain course modules and you can also manage communications at a global or individual level, the emails sent by the student tutors, who respond without access each URL. All features including forums, news, and calendar are easily available from the home screen. The TMS offers a single sign on option for a most complete training environment. A complete educational platform that allows you to create multiple portals with unique identities and different domains, all operating simultaneously without additional installations needed. These advantages have positive results within a framework of people and talent management, employee compensation, benefits, corporate social responsibility and professional development. Who should manage the TMS? Management of the talent management system is a shared responsibility between different persons in a company, but is usually someone from within the human resources department and the director/manager of each department. However, the management and administration of the talent management system also requires technical and logistical support of a centralized resources unit to support new system updates and information management.� Managing the TMS is the responsibility of management and direction of each department when it comes to specific objectives, ie, when it is at the operational level and when it is at the tactical level. How can you identify talent in a professional management platform? To identify talent in employees within your organization requires knowledge of the skills required for the best performance of your business and every position by clearly defining the technical skills required for each role. It is important to clearly define measurable and attainable objectives and evaluate them on a regular and consistent basis. The talent management systems ensures companies are prepared to successfully meet the requirements and needs of the changing educational and training market. 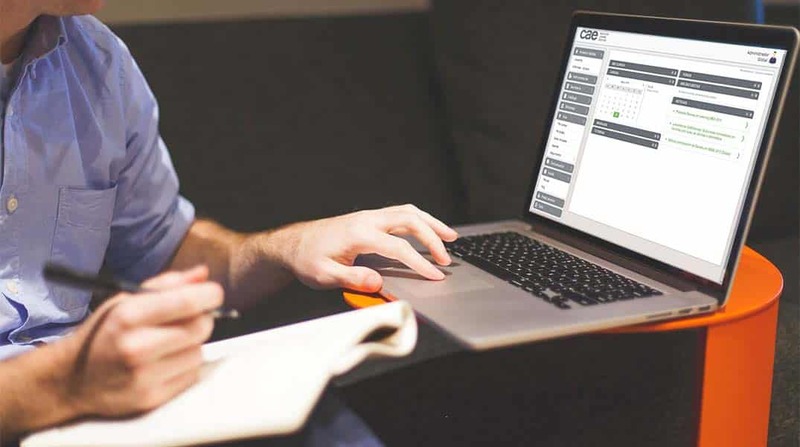 Computer Aided eLearning, CAE, offers a comprehensive training solution for talent management and optimization of your company potential through learning platforms and TMS.� Discover the possibilities here.